A Lunch & Learn program presented by the Community Relations Council of the Jewish Federation of the Lehigh Valley. For over 1,000 years there was a rich tradition of Jewish life in Bohemia and Moravia, now the Czech Republic. In 1700, Jews accounted for a quarter of Prague’s population. When the Nazis invaded in 1939, many of the 350 Czech synagogues were abandoned or destroyed. In 1942, a group of Prague Jews surprisingly persuaded the Nazis to store over 100,000 deteriorating religious objects. Some believe they intended a future museum of Jewish artifacts. Included in the cache were approximately 1,800 Torahs, which the Jewish curators, most of whom later perished in the camps, numbered and cataloged. In 1963, The Czech Memorial Scrolls Trust purchased and stored the Torahs in Westminster Synagogue’s Kent House in London. Today, five of those Torahs are in the Lehigh Valley. 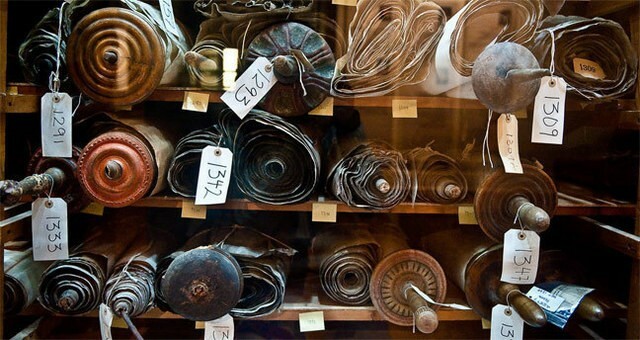 Join us as Jeffrey Ohrenstein, Memorial Scrolls trust chairman, speaks about these five unique Torahs and how they embarked on a travesty that landed them in our community. $12 for lunch and program. RSVP to 610-821-5500 or aaron@jflv.org or register online at www.picatic.com/torahscrolls.